Even though I have been coming to Arizona for the past 6 years, I had never been to Prescott. 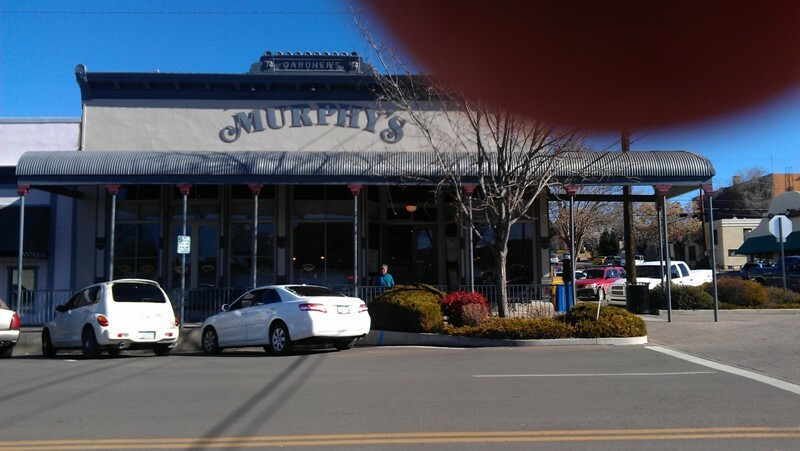 So, on a nice, blustery cold day, Max and I took a day trip up to Prescott, AZ. 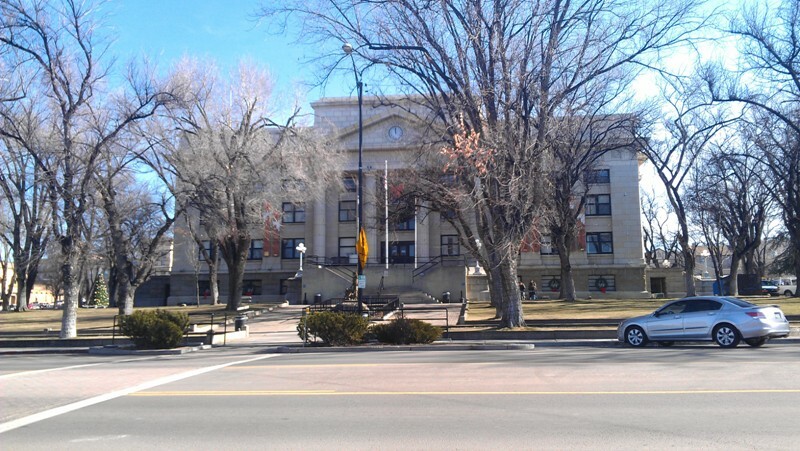 Prescott was founded in 1864 after gold was found in a nearby creek. It was the first territorial capital, had the first graded school and held the first legislature in 1864. 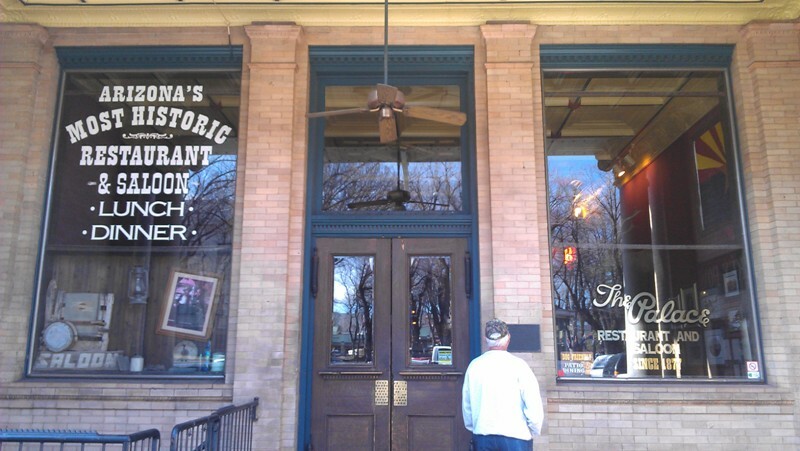 Long known as 'Whiskey Row', the one hundred block of Montezuma Street was famous for the numerous saloons located on its block. 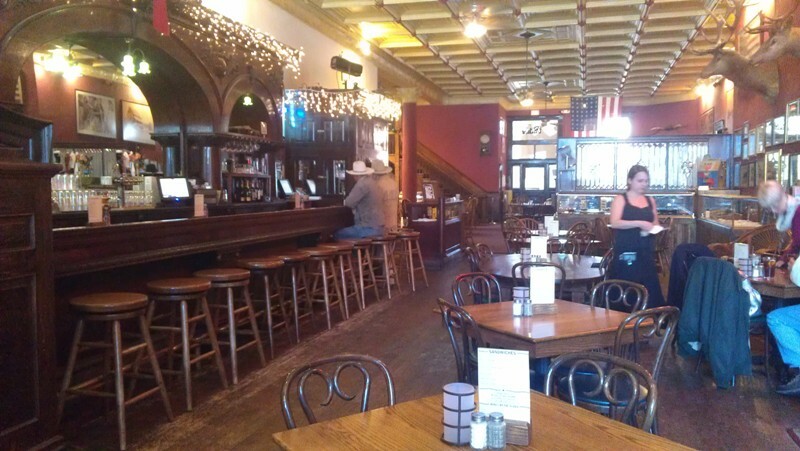 The Palace Restaurant and Lounge was originally established in 1877. There was a disastrous fire in this block in 1900 and all the buildings were rebuilt since then. The inside of The Palace still has that old time 'feel' to the place. One of the few buildings which survived the fire of 1900, this Knights of Pythias building is the tallest, except for the capitol building. The building was dedicated in 1895. 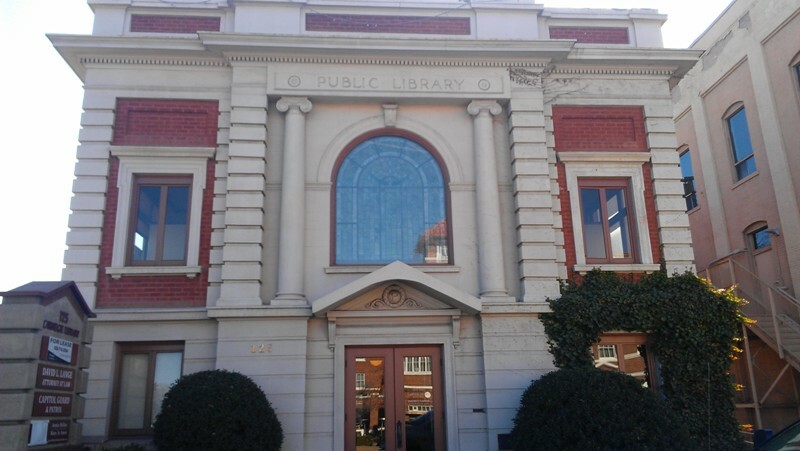 Prescott's Carnegie Library was established in 1864, but this building was not built until 1903. 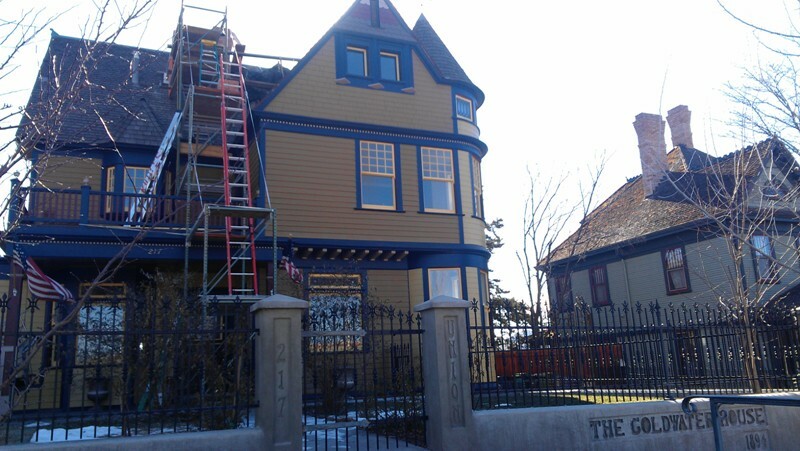 Andrew Carnegie provided half of the funds needed to build this library. 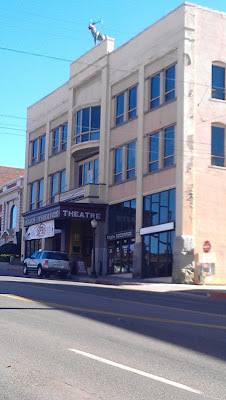 The Elks Theater, considered to be the best opera house in town, was built by the Elks Lodge in 1905 at a cost of $65,000. At the time it was completed it was said to have the best acoustics of any opera house west of the Mississippi. 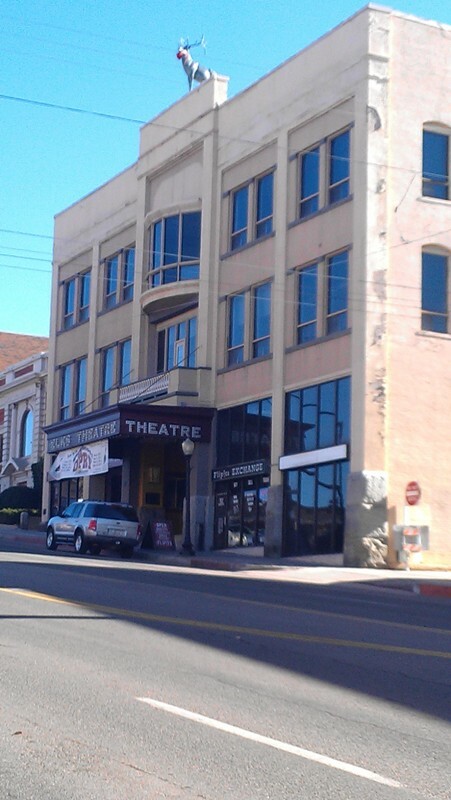 The Arizona Community Foundation acquired the opera house in 1982 and the city of Prescott bought the theater in 2001. It is still in use for live theater today. Tours are given during the week, except for Monday, and guess what? I was there on Monday. Someday I would like to return and tour this opera house. 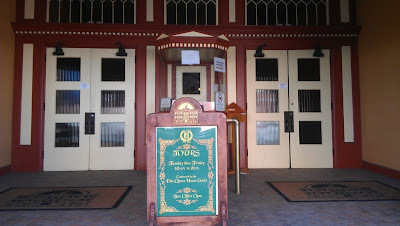 The entry way for the Elks Opera House and Theatre. Forgiving the finger (I was using my phone for all these pictures), this is the bank building. 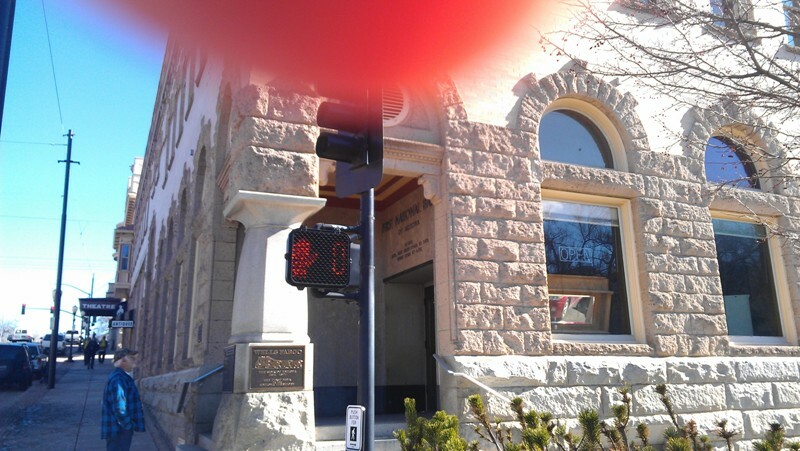 Chartered in 1877, the Bank of Arizona was the first business in the Arizona Territory devoted entirely to banking. 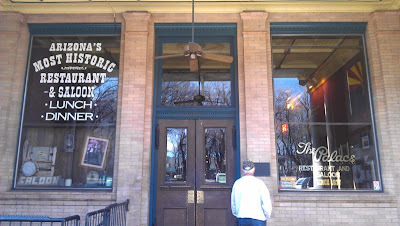 This building was erected in 1901. Having had several names, the last being Wells Fargo Bank, this was considered to be the longest continuously operated bank when it closed in 1998. 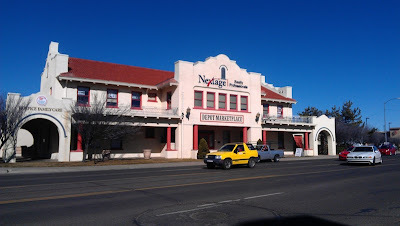 Although the railroad reached Prescott in 1886, this Santa Fe Depot was built in 1907. 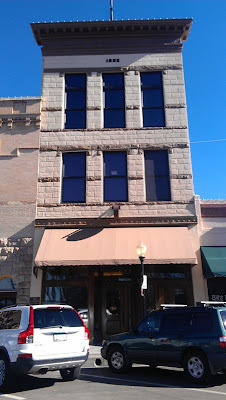 It is now primarily a real estate office, although it is on the National Historic Register. John Lawler, a miner, real estate developer, bought this entire block at auction. He built himself a home at the other end of the block, then sold off lots to three others based on their financial and social status. His plan was to build a San Francisco style "Nob Hill". 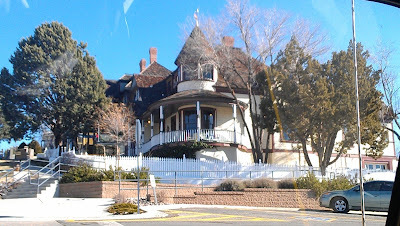 The above home was built by Jake Marks, a cattle rancher and mine owner. Because he also was a liquor wholesaler, Mr. Lawler would only sell him the 'last' or lowest lot on the block. 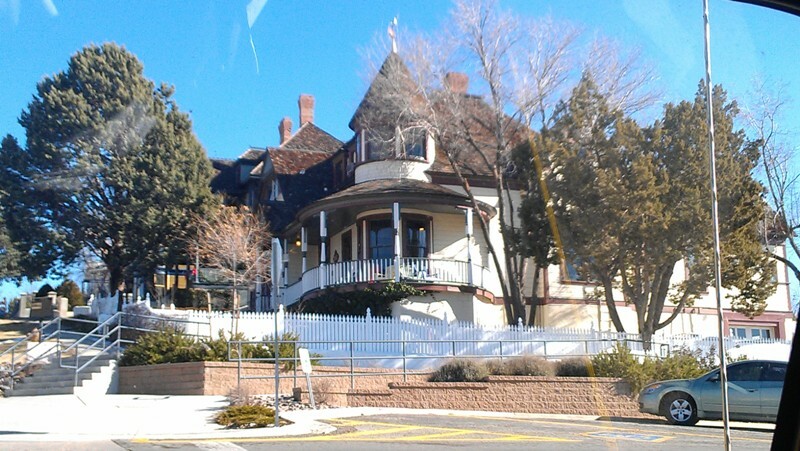 This home was built by Henry Goldwater, co-founder of Goldwater Mercantile Company. Again, pardoning the finger, this is the location of the J.I. Gardner General Merchandise store, built in 1890. Their motto was "all goods guaranteed to be first class". 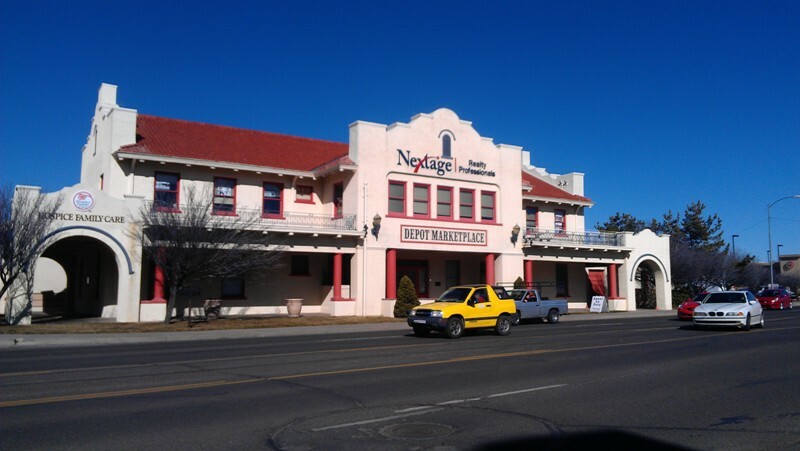 The store carried fresh fruits and vegetables, canned goods, clothing, ranch supplies and everything in between. Although many customers paid in gold, others paid in trade goods. Gardner's even had a mail order service with merchandise being shipped by train. 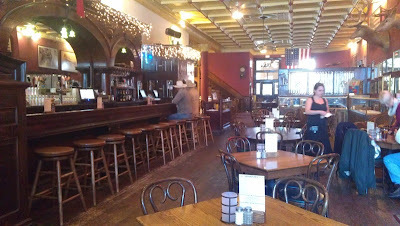 The building today has been adapted as a restaurant, but retains its historic appearance and many of its original fixtures. 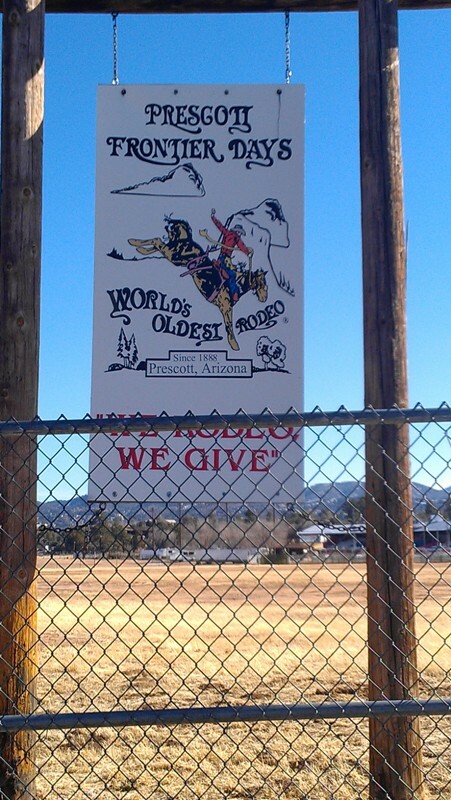 Prescott is also known for its rodeo. This sign says it is the World's oldest rodeo, while other information says it is the oldest rodeo in the U.S. The rodeo is held during the week of July 4th. 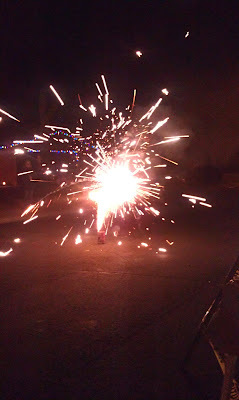 Wishing a Happy New Year to all my friends and family. 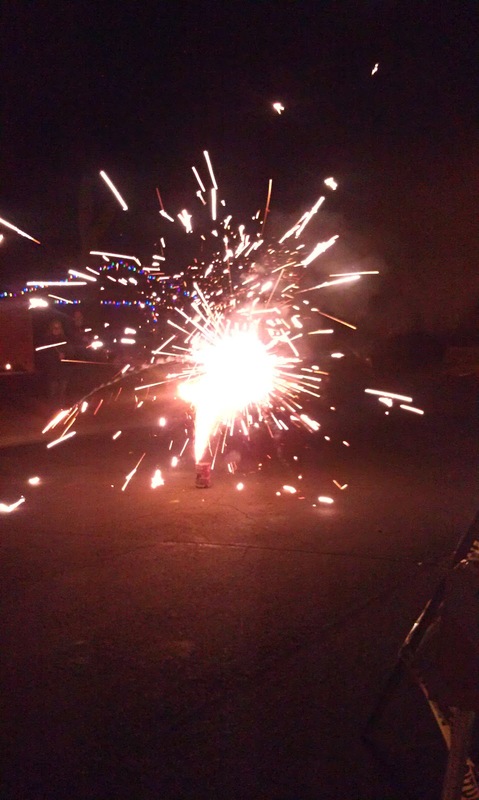 Hope your New Year will be full of fireworks and great things. Blessings to you all.